Last year started with a Snow Day: Priceless Fun in January. 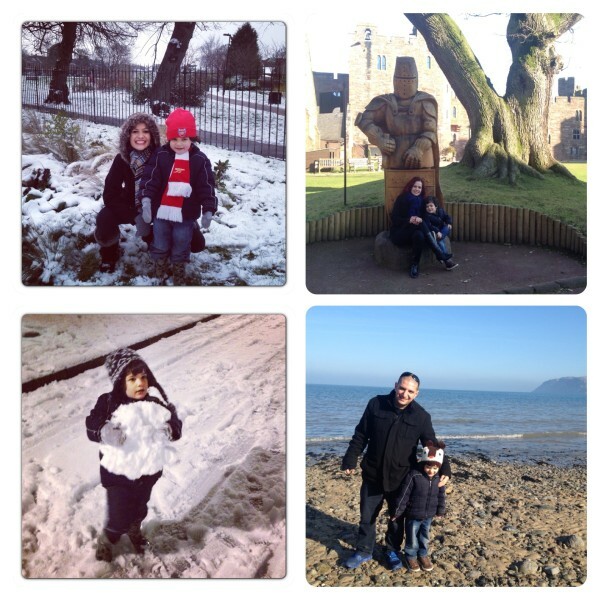 The whole family enjoyed playing in the snow, making snowman and having a snowball fight. Little man even managed to hold a snowball nearly his size, we sang ‘Let it Snow, Let it Snow, Let it Snow’ and had a great time together. We then had the pleasure to visit Peckforton Castle: Enchanting Hotel in the Heart of Cheshire during half-term, we felt like part of the royal family by staying in the castle. We also had the chance to visit North Wales for the very first time and enjoyed making sun castles in the beach. 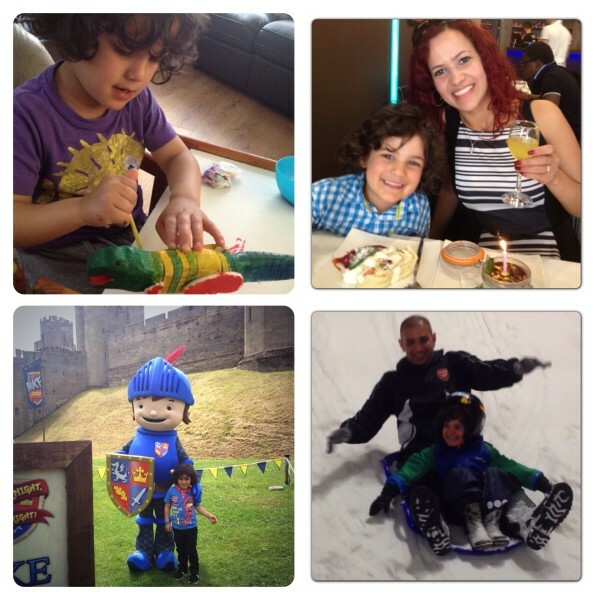 We also had lots of fun at home, crafting and painting, went out to lovely restaurants together and even met Mike the Knight at Warwick Castle, it was one of little man’s highlight of the year. In the middle of the summer, we took a break from the hot weather to enjoy sledging for the very first time. 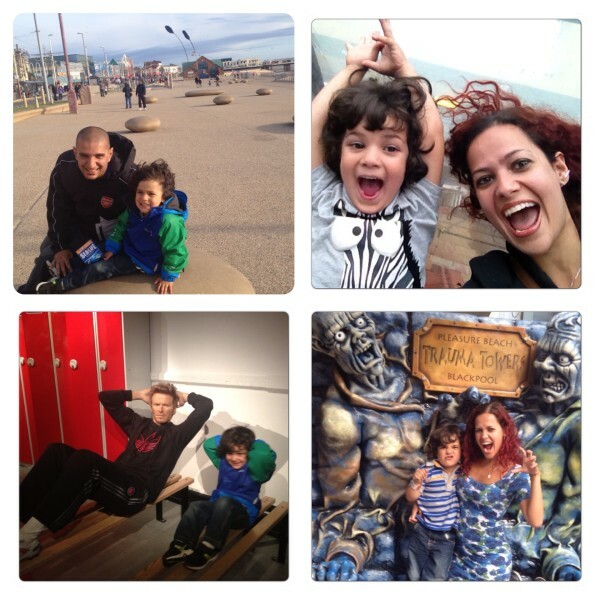 The whole family visited Blackpool Tower attractions, little man loved posing at Madame Tussauds, and the rides at Blackpool Pleasure Beach were exciting and fun! I am thrill seeker, so the rollercoaster was my favourite! The most emotional moment of the year was little man starting school in September. 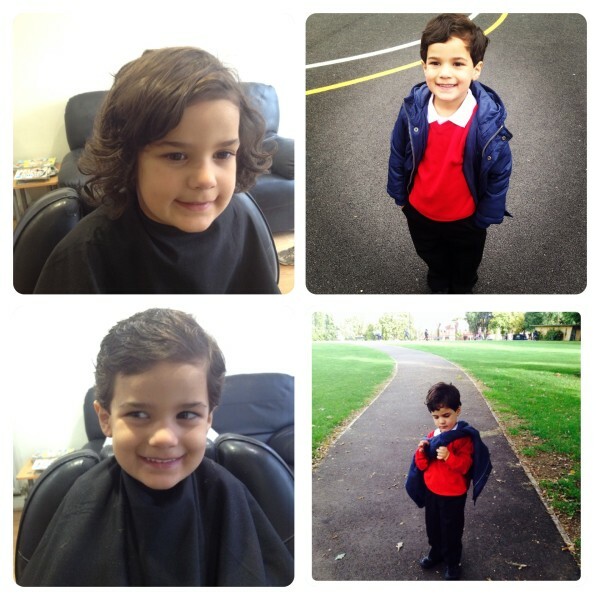 In preparation, little man had a new look for his big day, he had his baby curls chopped off and looked all grown up with his new hair cut and school uniform. It was emotional realising that he was growing up so quickly and he was already at school. 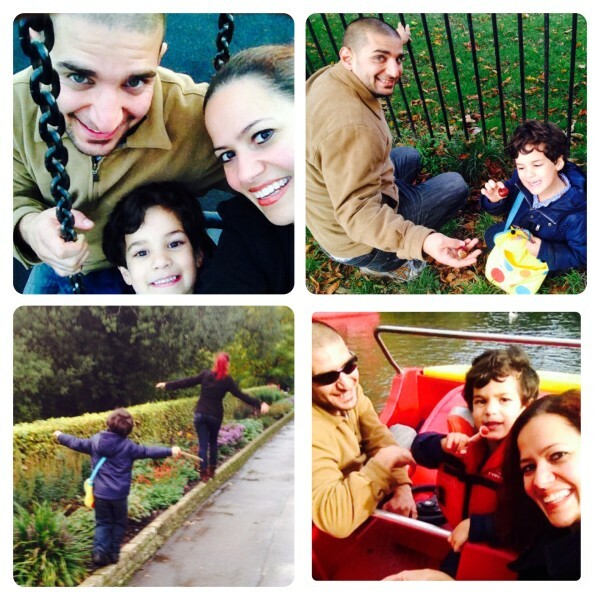 We enjoyed lots of family days out, from Family Fun Day: Priceless Fun in The Park, playing in the swings and collecting conkers to Pedalling at the Lake, we loved every single moment spent together. We will forever cherish those special moments! 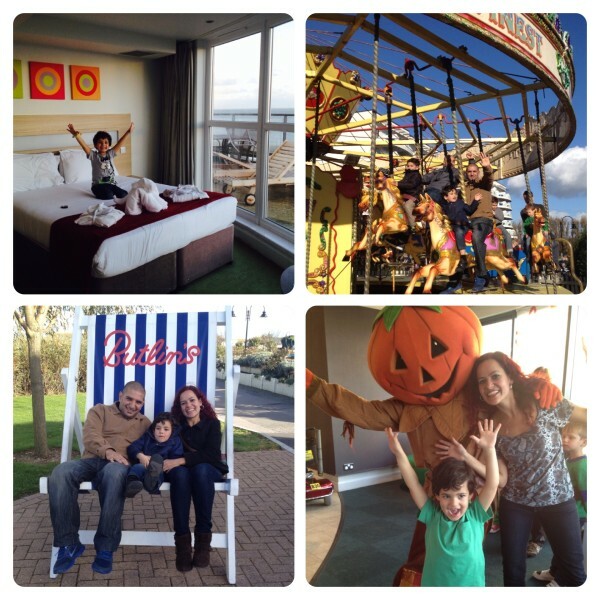 Our family went to Butlins for the very first time and we all had an amazing holiday. Our hotel room had a gorgeous seaside view and we had a great time at the fairground and watching the live shows. It was a fantastic holiday and little man keeps asking when we can go back! 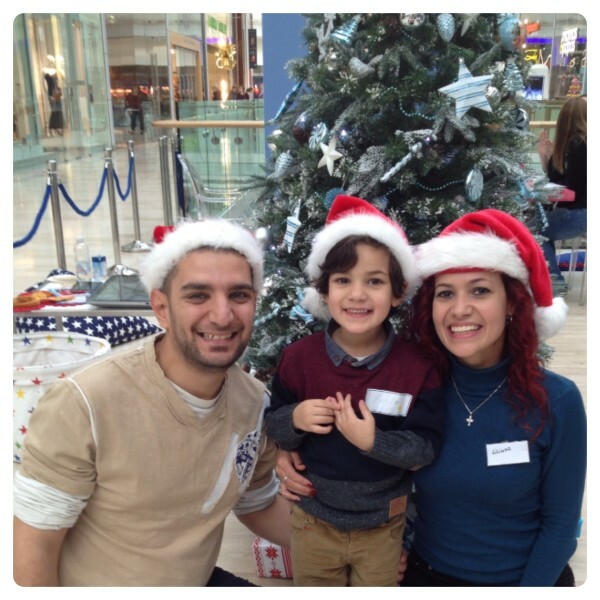 December arrived far too quickly after a fun-filled year, we love taking Christmas photos in front of the tree, so we can look back and remember all the lovely things we have done on that year. Those are the moments that mattered in 2013, special memories that we shared as a family and we will cherish forever! We had a great 2013 and we are looking forward to finding out what 2014 has for us! 2 Responses to "Moments that Mattered"
I have the same picture of my kids doing sit up with David Beckham in Blackpool i really liked out holiday to Blackpool looks like you had a great time to. 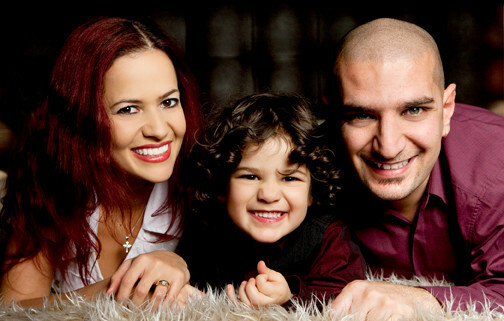 Wonderful family! I am sure that each experience you had were amazing!